Hopefully the trolling isnt to bad and its only usable with people in your party. If a WoD's Fel Reaver is getting closer...swap places with your friend! This will increase your friendship level by 9000 (results may vary!) and allow them to pay a lot of gold for repairs! Just think of the neck gripping hugs they will give! really, another thing with charges? I know I'm gonna have a blast with this! In before it gets blasted into oblivion with changes like increased cooldown time to 1 hour and making it unusable in instances :(. Think about it, huge advantage if you use it on a flag carrier! This fight is going to be fun. Does it work with all players or only friendly. I can see the troll uses for this thing EVERYWHERE. Sooooooo, what's the range, and can I use it while falling? No particular reason for asking. Just curious. I wonder if they have to be in range or can they be across another continent? If your hunter engineer has one of these, they can take you to their parkour trips with you! This isn't engi required now? UNACCEPTABLE! I hope I can use this whilst stealthed. Just stealth into the middle of the enemy then swap! For Raid Leaders! Like man isn't going where you need and you use that on him. Edit: not in combat, BOO. Could still work on the elevator boss fight though. Hate to see fun Engineering items get nerfed, but already had people griefing with this in Skyreach by jumping off the edge and swapping with party members, causing them to fall to their deaths. This needs to have a cast time and not be usable while moving/falling. for any other engi's looking to make this I decided to take the plunge. The item has a 1.5 second channel after which you and your targeted party member switch places with a 'blink' esque animation. When casting it puts a lazer on the target and your character holds a gun aiming. Moving will cancel the channel ( looks like they took the feedback from beta) so no jumping off ledges etc. What I mainly use it on so far is when we wipe in a dungeon and are running back to where we left off....stealinig first place from friends and constantly hopping to get there first...harmful? not really. Fun and frustrating for them? Very. i'm sure theres some other for-fun griefing that can be done even with it's restrictions but I have yet to find them . Must be within 40 yards of party member and in line of sight to use. Channels a beam for about 2 seconds then switches position. Probably need to be standing to use. So i just crafted this item and can confirm that its a channeling time before the swap is made (around 2-3s). When the channeling is done i get TP'd first then the one i target but this might be and probly is lag. Moving AFK(or not afk) people to troll. Elegon boss encounter troll (saw someone else comment this). Getting to a location first. with other words, this is a troll item. Some ^&*! @# on a dungeon the other day kept swapblasting me, another dps, and the tank whenever we'd run far ahead of him. We told him to stop doing it. On the third boss of the dungeon, the tank pulled and the %^&*! @ swapped with the tank and the tank was so annoyed that he left mid fight. You want to have fun? Don't annoy your tank or your healer, the queue would have taken longer to find someone. Also, if they tell you to stop, please stop. The target has no choice but to accept it, as soon as the cast completes, the transfer happens. You can swap positions with your own pet, making this item priceless for wallclimbing. Your pet can walk up anything that isn't a 90 degree "slope", so combined with this item it will let you reach those high-up rares/treasures without having to figure out the intended way to get up there. For a short period of time this item was able to be used to move any NPC/player forcefully. You would simply target yourself, start the cast, then target what you wanted to move, and it would swap them. Unfortunately you can teleport to someone who is in a pet battle, causing them to forfeit. Hopefully they patch this soon! As of yesterday, the swapblast seems to be broken visually. Whenever you use it on someone, they gain a permenant beam leash much like when the leashes of pets glitch up and can be placed on all players. 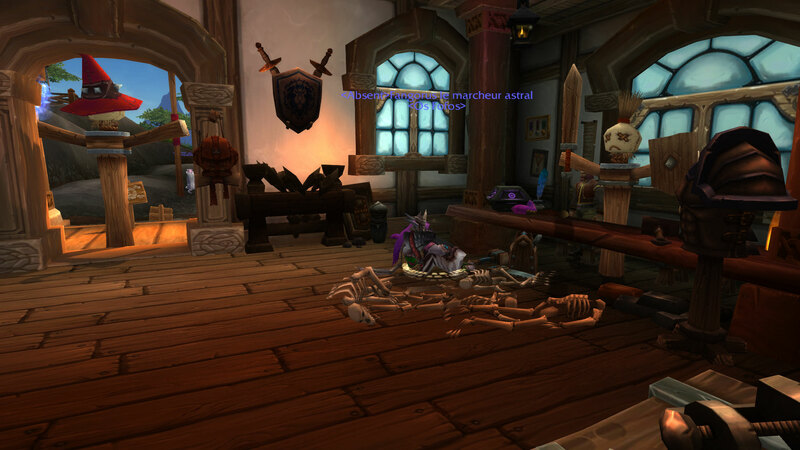 Four days ago I moved the training dummies into the Stormshield auction house. 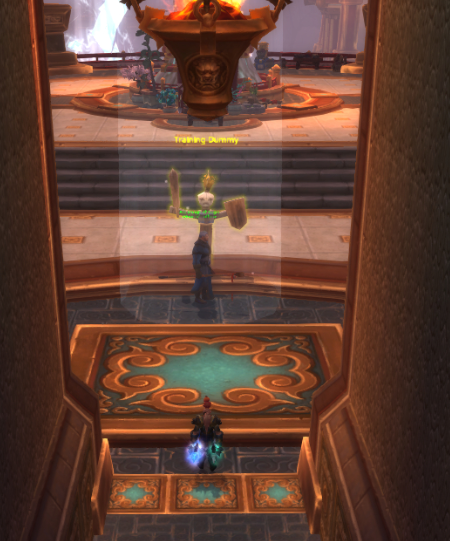 I moved the Tank dummy in front of the auctioneers. Players would missclick and auto-attack the dummy, and get killed. Now the item glitch has been fixed, but the dummies are still here today. With all this talk about Trolling others, I'm surprised no one has mentioned how useful it would be in terms of Treasure Hunting. Some items are stuck in trees and requires tedious jumping and walking on rope (a skill I do not possess). A player can request another person to help where 2-3 seat Mounts are not viable in such situations. 28/11 - Can't use this item while moving anymore. Gonna be a bit more tricky to kill off dps in dungeons. Molten Core lava + this item = epic win. This object sounds fun in theory but in practise is nothing but grief at the hands of folks who think it's hilarious to harass other players. A 10 sec cooldown is nothing. I've been constantly spammed with this before. I get motion sick very easily, and this "harmless prank" is not harmless. Not a fun toy to be on the receiving end of. The downvotes are a sad reminder I'm in the minority on thinking these sorts of things aren't "fun." It does work while moving when hunters Aspect of the Fox is on. Is your friend AFK? Buy a Swapblaster and take them into fatigue! Makes for great pranks. Interestingly enough, this CAN be used on yourself. I'm not quite sure what possible use this could have though. Edit: this is no longer the case, probably changed in 6.1. Best 50 Gearsprings I will ever spend. Stand on the edge of the drop, swap one of your comrades and watch them fall. Use this on your party member who was finally able to get up that hill to skip trash in Everbloom. Swapblaster! Now in Comic form! Now you can murder afkers in your raid when you are facing Farnspore and Kormrok. Just jump into the toxic water and use this on the afker. And there is Dämonenschleim almost everywhere in Tanaan Jungle. is it usable on hunter or warlock pets? Spreads cancer through the entire realm. Created by the mostly unknown Third School of Engineering - Trololloish. Why oh why did they add Neural Silencer but not bother to make it prevent this new, much more annoying item. Leap of Faith is on a 3 min cooldown, this thing is so stupid. My friend and I discovered something amusing with this item. We were in Warspear and he forgot to set himself to view his own garrison before using the garrison hearthstone, causing the teleport to fail and the hearthstone to go on cooldown, so he had to take the flight path back instead. Well, I had been using the swapblaster to mess with him all day and was feeling rather trollish, so I waited until he had just taken off and used it on him. I expected an error message, but instead I was teleported several feet into the air while he was forced off the taxi mount to my previous location. I landed with little harm, and after we finished laughing, I tried it again. The result was the same, effectively preventing my friend from leaving. We would have played around with it more, but talking to the flight master was costing him gold each time. People using this maliciously are going to ruin the mostly innocent fun (as always). People in LFR are constantly using this to annoy other players. Had someone jump into the lava pits in MC where it was inescapable and killed numerous people or trapped them in other places where they couldn't move. 38 other players aren't keen on waiting half a minute to kick people that are trolling. Swapblasting in my guild's raid was getting out of hand so I made an addon that detects when the player with the addon is swapped and announces who swapped them in raid. I call it SwapCheck. This was discontinued since they added that item that stops Swapping. The addon is still up, but I'm not doing any work on it. This item was just hotfixed to no longer work in Battlegrounds. This was not in the patch notes, but in 6.1, the cooldown was changed from 10 seconds to 1 minute. 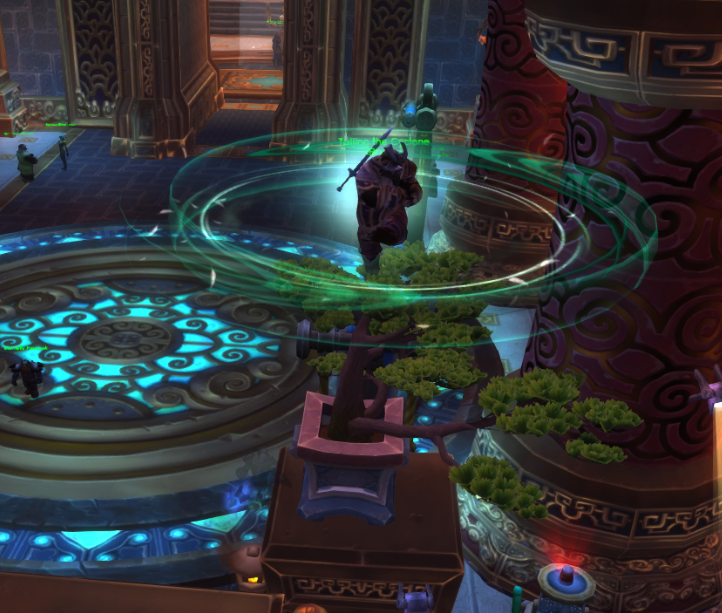 On related note to Swapblaster nerf, stones from the right side of entrance to Brackenspore were removed. Used to be my favorite spot. Wechselblasterrückkopplung when used on players affected by a Neuraler Stummschalter. Warning, as of 6.1 this item now has a 60 second cooldown and (more importantly) a chance to backfire, dealing 100,000 damage to its user. I have a friend who I play a game with where I try to kill him with this(he's cool with it). Basically you use aspect of the fox and cast it in midair to drop them to their death. I've gotten him about 3 times, last time was at the end of a duel when I swap blasted him about 25 feet off the ground for just enough fall damage to kill him. Thing is, my last attempt was much worse than a death. When I swapped him, he DCed from the server. The cause was probably me landing at the exact moment of the swap. Does this item require you to have engineering to use it? or just make it? All I see are hunters running around with armored devilsaurs. Come on guys, use your brains! The potential of this item is amazing and you guys need to think out of the box and have some fun before they nerf this! I have personally already made my Hati look like a roided-out troll, a big purple demon (the old demo lock meta form), a slime, and a lizardman. These are permanent until you use the swapblsster again too. Have some fun. Use this for ridiculous things before its nerfed! this doesnt tell you of any limits to range. when i saw this i thought, "Finally, no more giving lost noobs directions!". i thought this thing would summon my target to my location and me to my targets location from anywhere in the world. did it work like i thought i would? NOOOOOOOOOO, it only works when im in spitting distance from my target. I imagine this is getting some good use in Temple of Sethraliss in the lightning orb section. Recently nerfed into the ground, No longer usable within Temple of Sethraliss, So that guy who is lagging slightly and can't go past the bs lightning trap is stuck there forever and you can't do anything about it. Thanks craptivision blizzard. "Achtung: Der Tausch mit einem Ziel, das einen neuralen Stummschalter verwendet, ist lebensgefährlich."